The inconsistency of Caliphate power during the years of fitna and the impossibility of sustaining the stable figure of a ruler who inherited the Umayyad legitimacy led to the design of a government of notables that would maintain stability and administer the city and its territory. 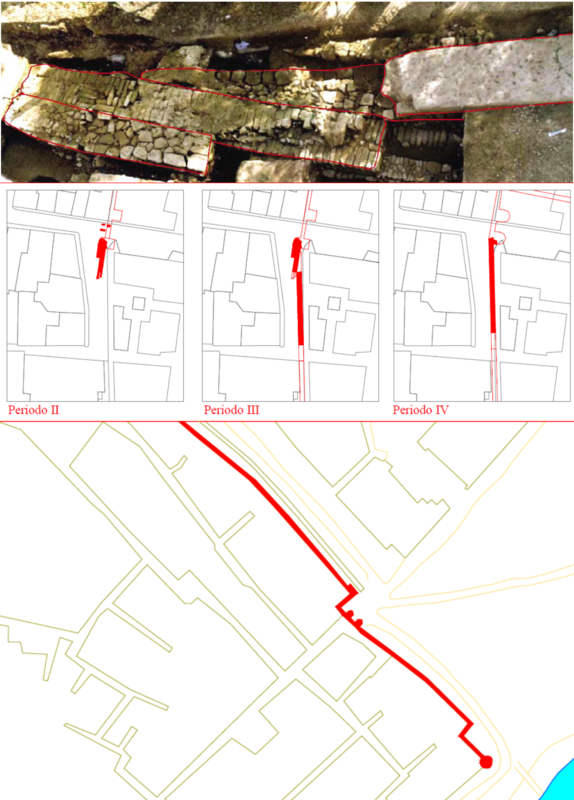 Different phases of the wall of the Axerquia in the Puerta de Baeza, and final drawing of the south angle on the Plano de los Franceses of 1811 (BERMUDEZ 2005). It was the one known as “Republic of the Banu Yahwar” (1031-1069), during which a period of stability and an incipient urban resurgence was produced. However, the territory controlled by this taifa was much diminished by the expansionist aspirations of other neighbouring kingdoms. In fact, within a few decades the capital itself was initially absorbed by the abbadí taifa of Seville of al-Mu’tamid (1070), with a brief parenthesis under the control of the taifa of Toledo of Banu Di-l-Nun (1075- 1078), to revert later and definitively under the abbadí control (1078-1091). 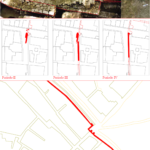 It is logical to think that the urban efforts were assembled in the repair and conditioning of the walls, due to the climate of military instability of the moment. The most interesting archaeological evidence has been found in the Baeza Gate, next to the gardens of Campo Madre de Dios Street. Different excavations have shown the existence of a second walled enclosure which is contiguous to the Medinathat protected part of the eastern suburbs (Al-Rabad Al-Sharqiya) in the eleventh century. This wall was reinforced, and probably expanded, in future centuries until defining the contours of the current Axerquia neighbourhood. Beyond the apparent silence of the archaeological record, especially outside the walled enclosures, diverse written sources reveal that, despite the instability of this period, the urban life of Cordoba continued to be very active throughout the 11th century, prolonging to a great extent many of the institutions settled in Umayyad period.